Contest rules: Coast to Coast "Where Has Coast Taken You" SWEEPSTAKES ABBREVIATED RULES. NO PURCHASE NECESSARY. Begins 01/01/19 and ends 12/31/19. 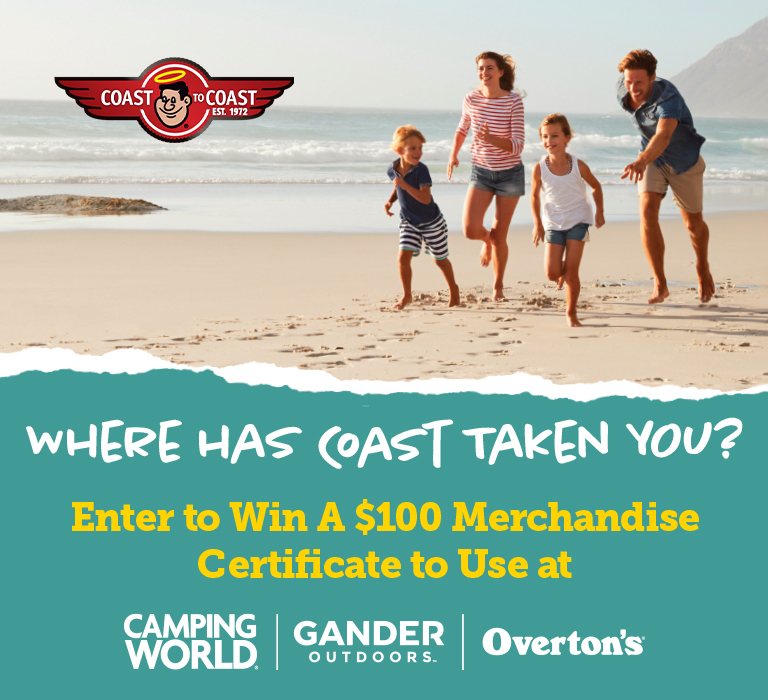 Enter by sending a testimonial of a great experience you had using your Coast to Coast® membership to [email protected] or by mail to Coast to Coast, Attn: President, PO Box 7028, Englewood, CO 80155-7028. One winner will be randomly selected each month during sweepstakes period from all eligible entries by the 10th of each month. For full Official Rules, by which this Sweepstakes is governed, go to CoastResorts.com/ContestRules by 12/31/19. Void where prohibited. This Sweepstakes is in no way affiliated with, sponsored, endorsed, or administered by Facebook®, and therefore Facebook® assumes no responsibility or liability for its conduct or administration. Sponsored by Camp Coast to Coast, LLC, Englewood, CO.